WEATHERFORD, Texas -- A Texas police officer shot another officer and a man he was trying to arrest during a confrontation following a traffic stop. Police in Weatherford near Fort Worth say officer Chris Bumpas was conducting the stop Thursday evening when he discovered there was a warrant for the arrest of one of three people in the vehicle. Police said in a statement that the man became combative and struck the officer with a flashlight. The second officer couldn’t subdue the suspect using a stun gun and fired multiple shots, striking Bumpas and the suspect. Police say Bumpas is recovering from surgery on his abdomen. The suspect, whose name hasn’t been released, is in guarded condition at a hospital. Texas Rangers are investigating the incident. 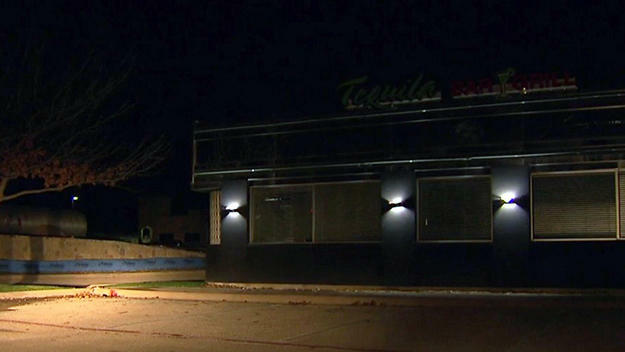 The officer who shot both men has been placed on a routine administrative leave, CBS Dallas station KTVT-TV reports. His name has also not been released. Sgt. Jason Hayes of the Weatherford Police Department said that there should be video footage for the Texas Rangers to review.